Code Name Verity was on the shelf of recommended reads at my most-frequented library, so I picked it up thinking that I don’t read enough YA. The novel tells the story of two girls and their unlikely bond forged in wartime England during World War II. Maddie is a woman pilot. “Queenie,” as her best friend is called, has a much more mysterious job. The book begins in diary-like entries penned by Queenie, describing their friendship up to the night Maddie delivered her to occupied France and her plane went down. Queenie, the reader learns, is being held and tortured in France and these are in fact passages she’s writing for the head interrogator as a way to avoid further torture. She’s “selling her soul,” she writes, by giving the Nazis bits of wireless code and information on airfields. She’s also buying herself time. Author Elizabeth Wein does great things with perspective and information here. What Queenie, a non-pilot, knows about planes, for example, is limited. But she is imaginative in her descriptions, and her tandem flights with Maddie are some of the loveliest sequences in the book. The further Queenie gets into her tale of friendship and survival, the higher the stakes, as it becomes apparent that she soon will be shipped to a camp for experimentation and execution. I read the last 200 or so pages of this book in a rush, because I had to find out how it ended. It unfolds brilliantly, with carefully plotted reveals (especially as Queenie doles out information to her captors bit by bit), and the friendship shared by Queenie and Maddie is sweet enough to make you weep. (There may have been a few tears shed by the time I closed the book.) I don’t pick up a lot of historical fiction, but in this case the setting of wartime England, with high suspicions, rationed food, and women’s work often seen as secondary, was multifaceted and vibrant. Wein really makes history come alive in this book (despite making up several town names, locations, and details of the characters’ work), and the illusion of reality was strong all along. I suspected nothing. A pilot herself, all of the flying sequences Wein described were written dreamily–coming out of the pages, one can tell the author is passionate about being in the sky. I highly recommend Code Name Verity, and I think the reading experience will make me eager to try other historical fiction novels. 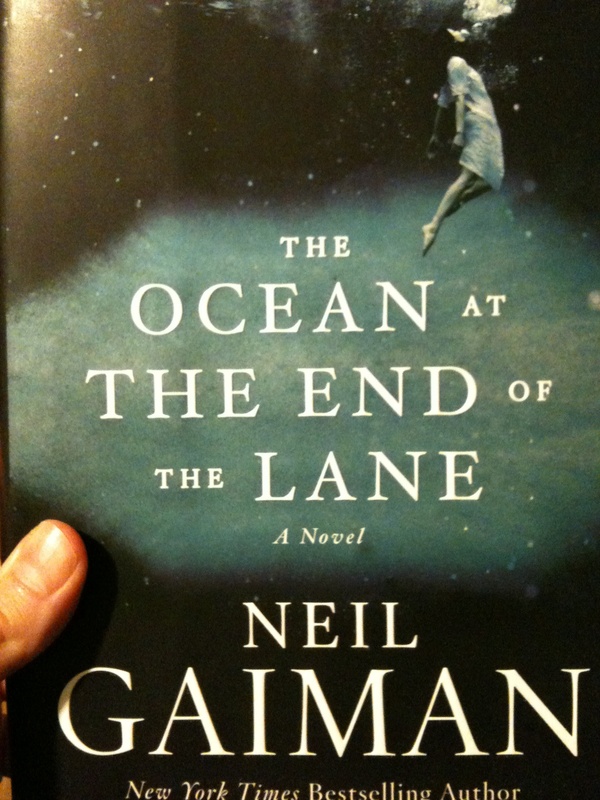 I’ve been a fan of Neil Gaiman’s work since I started reading The Sandman graphic novels in my teens. I’ve read most of his novels and short story collections, and when The Ocean at the End of the Lane came out last year, I knew I’d get my hands on it sooner or later. This is a quiet book that wraps around you and pulls you under softly, slowly, with barely a splash. It opens with the unnamed protagonist avoiding the wake of a funeral. He drives down a country road past the plot that once belonged to his parents, onward to a farm that stirs in him memories of an extraordinary and terrifying event from his childhood. Gaiman has used the triple goddess, Hekate, the fates, the three furies, etc., time and again in The Sandman, as well as in other works. In this novel, they become the closest thing to friends that the narrator has for a brief period after his seventh birthday. Lettie Hempstock, the youngest of the three, becomes his savior when he unleashes something bad into the world after witnessing the suicide of his parents’ tenant. The gravity with which the story is told, and the concrete details of the protagonist’s childhood, lend it the feel of being completely factual. I think every adult reader could pick this book up and leave it with a sense of dread surrounding events of their own childhood. Because terrible things do happen to children, and then the world moves on, and those things leave their mark on us. There was a passage I searched for in the book, after finishing it, that I couldn’t seem to find, so perhaps it was an observation I made while reading instead. Whichever the case, one of the saddest feelings this book left me with was that everyone is a little bit broken, but our adult world doesn’t treat people gently to compensate for that. This is definitely a book that sits with you and invades some of your private thoughts. It’s not a feel-good read. It might leave your life a little sadder, but hopefully a little more contemplative. I feel like Nicola Griffith’s novel is set in one of the most finely crafted fantasy worlds I’ve ever encountered. The characters, even those who are only at the edges of the scenes, are drawn with great depth. The imagery of the costuming is stunning. The action, from bloody skirmishes on a riverbank to the killing of a piglet in a marketplace, is created on the page as vividly as it would appear on a video screen. But Hild isn’t a fantasy. It’s set in seventh-century Britain, amidst the growth of Christianity and the annexation of kingdoms by Edwin of Northumbria. 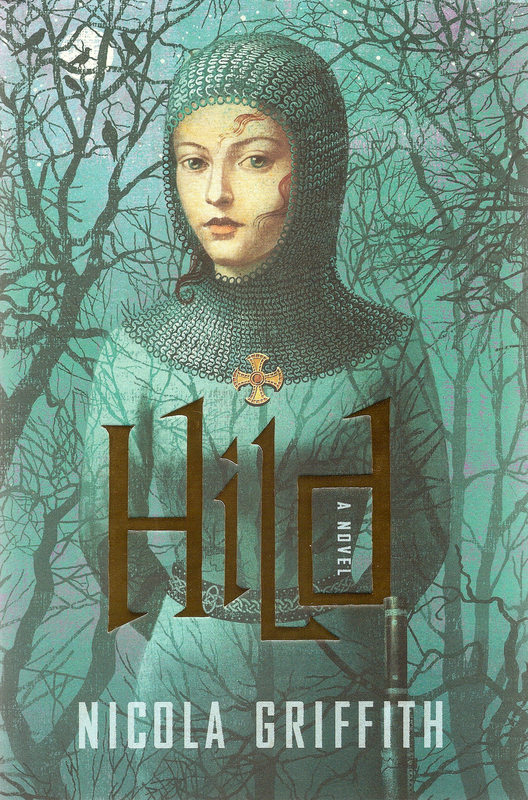 Hild, the king’s youngest niece, is growing up in a world filled with uncertainty and political intrigue. As she learns her way around the court, the child, prophesied to be “the light of the world,” makes herself indispensable to the king as his seer. 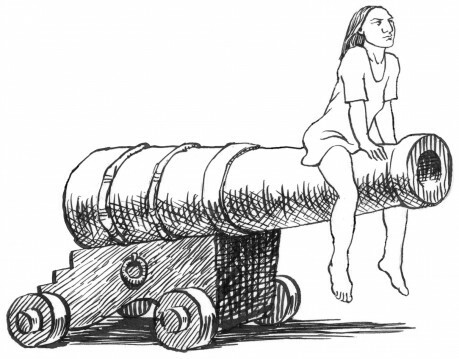 Hild is not a typical child, nor is she a typical woman for the period, and as she learns more about the players and kingdoms at stake, she is more deeply drawn into the plots that determine the course of Edwin’s conquests. She must stay constantly alert to protect herself and her loved ones, to remain in the king’s good graces, and to follow her wyrd. As I mentioned, I’m entranced by this book. The scenes of daily life, like tapestry weaving and jewelry making, set it solidly in its time, and the conversations and characters make the seventh century feel raw and real. A tremendous amount of research must have gone into this novel, as well as a tremendous amount of imagination. Little is known about St. Hilda of Whitby, upon whom Hild is based, but Griffith nevertheless gives us her life from the age of three in immersive detail. Get Hild here (or at your local bookstore)! Link’s stories include elements of the fantastical or weird. 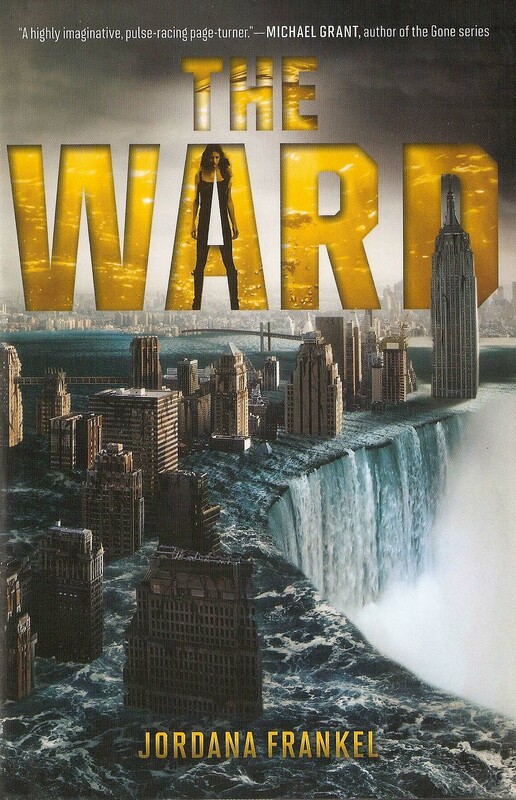 Some are set in contemporary suburbia with subtle twists, others in worlds that suggest high fantasy. I’m working my way through Pretty Monsters, a YA collection that won the Locus Award in 2009. Among the stories in the book are one about a boy who digs up the wrong dead girl, another about kids with magical tendencies who serve wizards in towers built on a marsh, and a third about twin sisters who decide that being Dead is the best way to go through life. 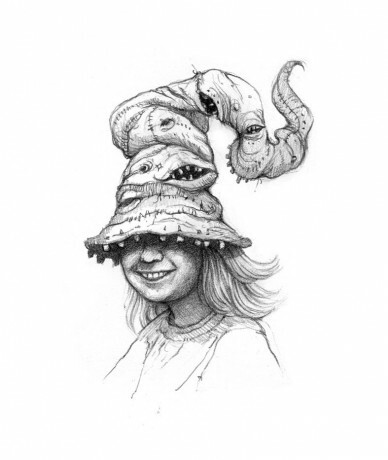 If you enjoy off-the-wall stories that are literary and fantastical at the same time, I recommend checking out Kelly Link’s work. Seeking inspiration? Visit her Story Monster page, which will randomly generate a prompt for you to develop a “monstrous, three-sentence story.” (I got: Once upon a time, “Billy” went to “Japan” and decided to toss around his “apple”!–I dare you to come up with a good story in the comments.) Want her to read your work and possibly publish it? Link and her husband, Gavin Grant, own Small Beer Press and run the small press zine, Lady Churchill’s Rosebud Wristlet. And if you’re in the Baltimore area, you can see her this weekend at FaerieCon East–you might even run into me! There are a slew of other great authors who will be at the Con, as well. When I visited the library at the college where I work, I didn’t expect to find Ursula Le Guin in the slim young adult section. Nevertheless, I picked up Lavinia, which claimed from the jacket to tell the story of the woman who would become Aeneas’ wife in the Aeneid. The first half of the book was the most captivating to me, and also the half before Aeneas really appears. Lavinia recounts her strained relationship with her mother, her freedom that gives her full reign of the copses of ancient Italy, and her visits to an oracle by a sulphur spring. It is at this oracle that she learns she must marry a foreigner despite her mother’s insistence that she wed the suitor Turnus. 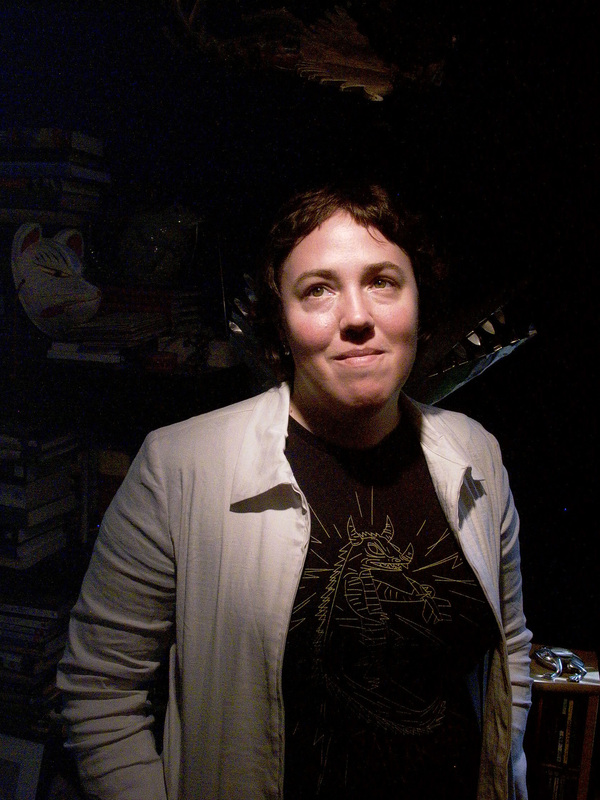 Lavinia also meets a projection of Virgil himself, and learns through their conversations that she will live on in men’s memory through his writings. Lavinia is self-aware, but subtle. I’ve always loved Le Guin’s prose, and the lush descriptions of the Latin countryside (and the tamed deer that was a pet of Lavinia’s friend) made me want to be able to roam the woods as freely as Lavinia did. I find in Le Guin’s style a perfect blend of spareness and evocation. She’s a master of putting just enough words on the page to fill in a story without telling too much.